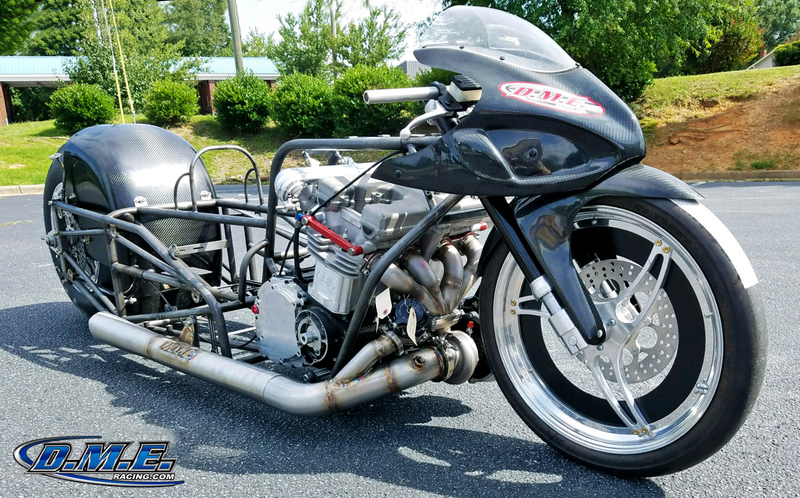 DME Racing is best known for their sparkly painted Pro Street Team bikes, but if that’s all you know about DME Racing, you’re only scratching the surface. 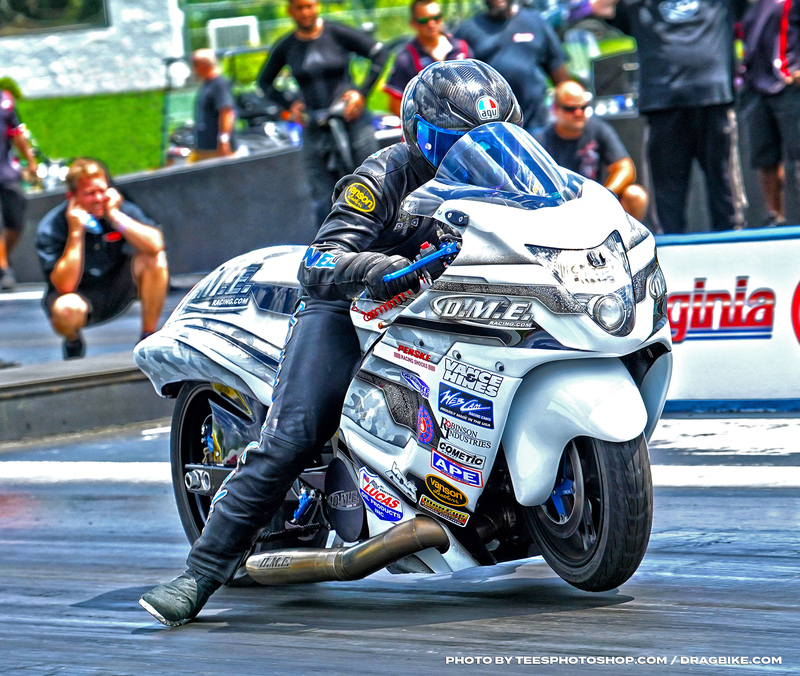 At the beginning of the 2018 season, DME Racing owner Dimey Eddinger, and Tuning Specialist Andy Sawyer knew they would be in for a roller coaster of a year, but they planned for it. Last year Eddinger expanded his shop to accommodate more machinery, more bike lifts, and more staff. This year, you name it, and they have their hands in it, Turbos, Nitrous, Methanol, Pro Mods, Grudge, bracket bikes, even a Honda or two. And while growing a business and a running a race team can create sleepless nights, Eddinger is winning in the risk department. And he has no plans of slowing down. Everyone is racing to win. 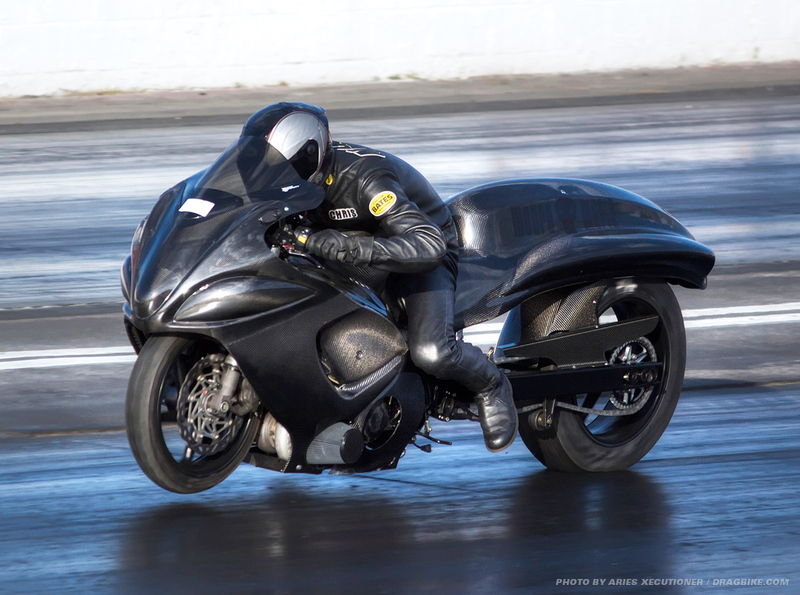 But DME Racing knows that the secret sauce is the lesson in those wins. With every victory they consume, that’s a minimum of eight passes of data they just obtained, and that’s money in the bank. If they are winning, they are learning, and their customers are gaining on their competition. So while the season is winding down for many racers, the build sheets are going up on the boards at the shop as Eddinger and his staff prepare for another hectic off-season. “We are busy, and I’m sure many people think the off-season is a time to wind down, but not for us. 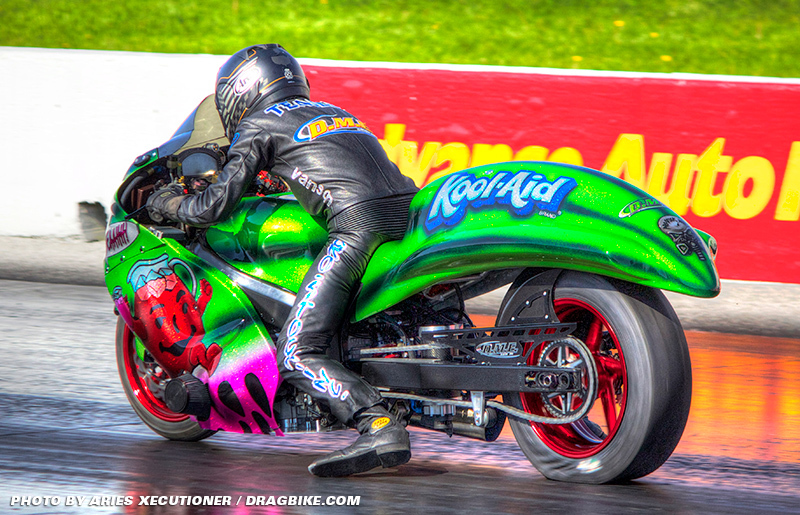 We are grateful to our customers and fortunate to have so many great sponsors and companies that work with us. We wouldn’t be where we are without them,” said Eddinger. And this team has proof to show for their hard work, check out the list below of some of the winners so far this season. This is just a sampling of wins from their team and customer bikes. 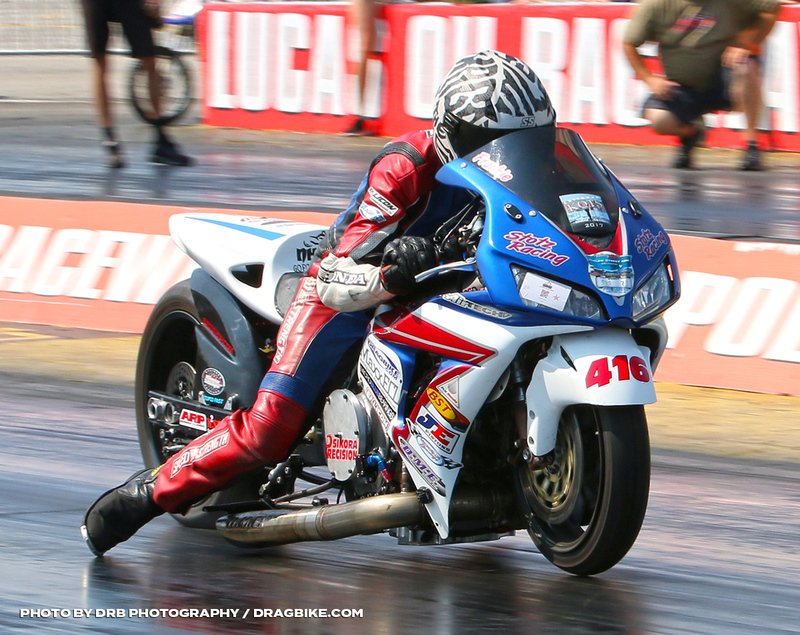 Team racers, Chris Connelly Jr. and Jeremy Teasley are both leading Pro Street Points at XDA and Man Cup respectively. 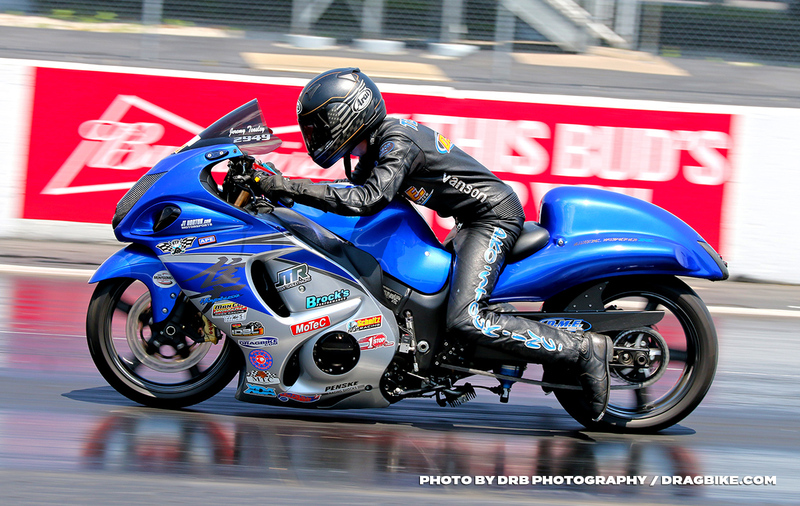 Jeremy Teasley also leads the Dragbike.com BAMF points chase for the baddest sportsman racers in the country. The whole team will be testing today as they prepare for another weekend of racing. 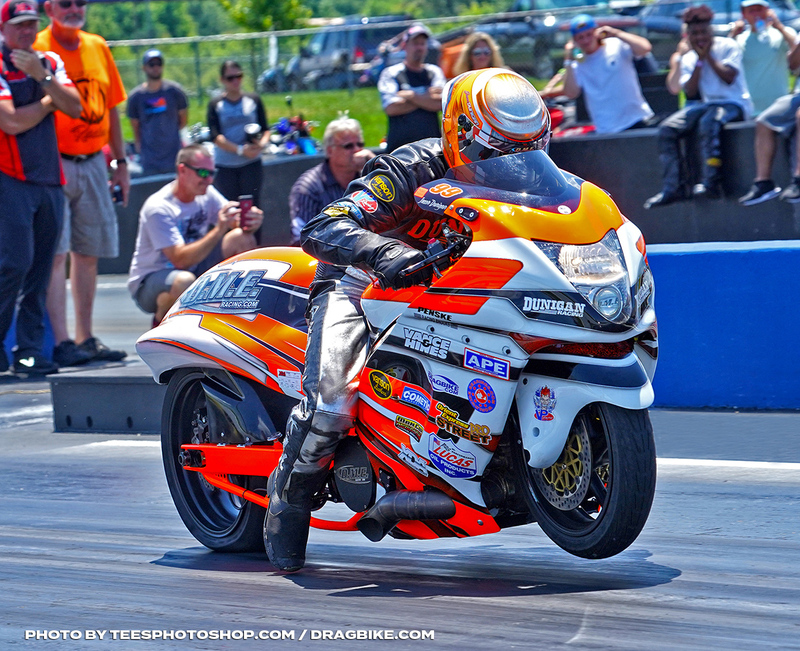 See the team this weekend at Virginia Motorsports Park for the XDA Superbike Showdown. 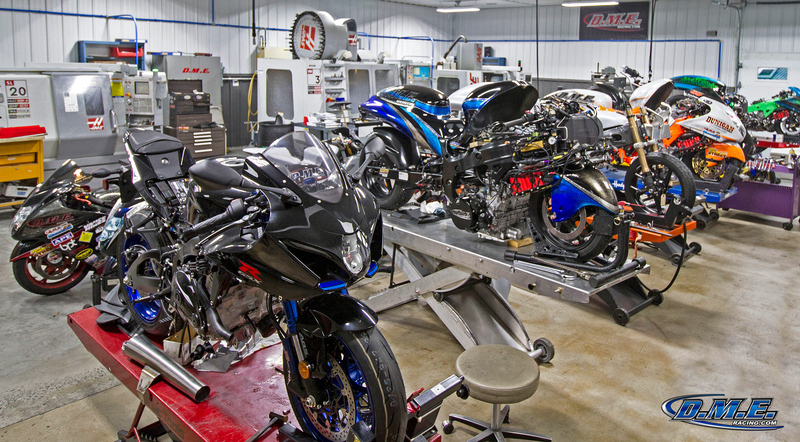 When You’re Ready, stop by and talk to Dimey or Andy about your next bike build. Pro Street – Chris Connelly Jr.
DME Racing thanks their sponsors for continued support: Penske Shocks, NLR, Vanson Leathers, Lucas Oil, CP/Carillo, Web Cams, Worldwide Bearings, Cometic Gaskets, Robinson Industries, VP Racing Fuel, Dunigan Racing, DCE, MTC, APE, Vance & Hines, Beringer Brakes, and Owen Developments.